Ariel they are not. In the depths of the ocean lurk a different sort of mermaid, those who share the monstrous qualities of the fearsome fish who light the dark. 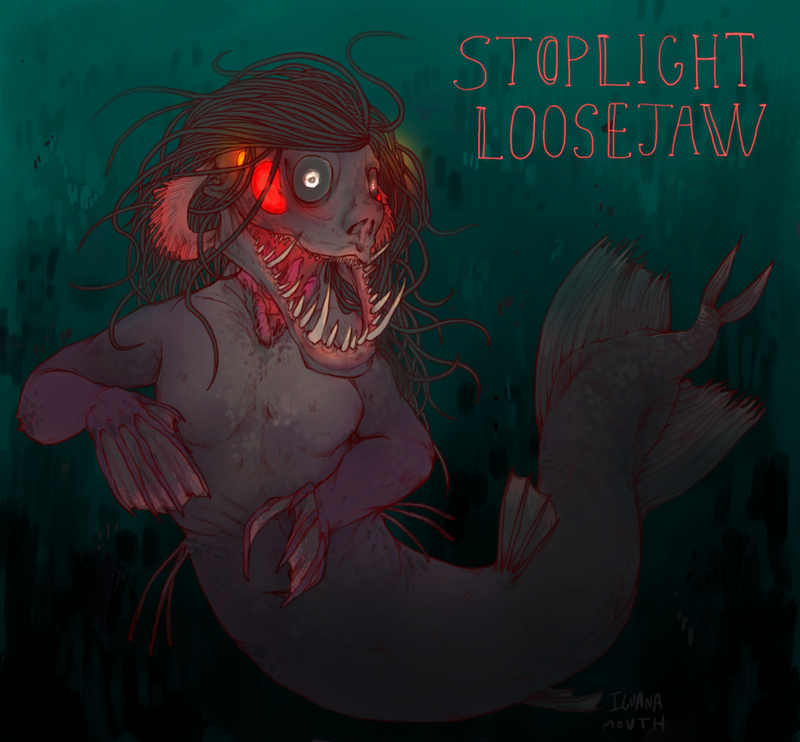 Artist Iguanamouth (a.k.a Lauren) has posted a full series of mermaids that combine the female form with deep-sea animals, and the results are wonderfully grotesque. Head over to her Tumblr to see her mermaid versions of the cookie cutter shark, angler fish, and vampire squid.